- Applicable on DTH Recharges. 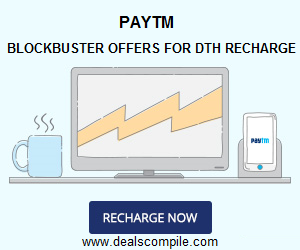 - Cashback is credited within 24 hours of the transaction into PayTm Account. - Cashback can be used to recharge, pay bills & buy products.